Though the inner workings of the mind are both widely researched and speculated on, information about how the brain functions and how it affects emotions is ongoing, with research pinpointing the importance of brainwaves as the paramount interest of many in the field. 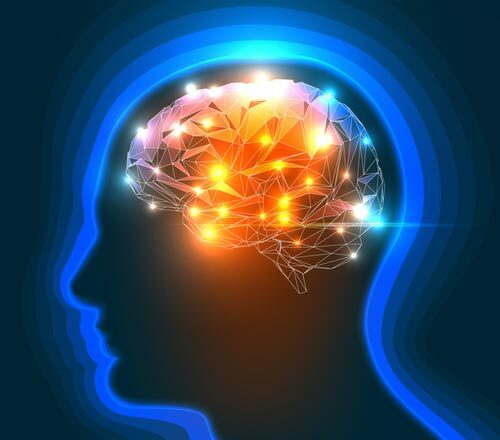 Judging by the litany of jokes about becoming a neurosurgeon, most people accept that the brain is dizzyingly complex, so it is helpful to understand the brain’s basic processing method a little more fully to grasp the significance of brain waves. The brain is comprised of billions of cells called neurons that communicate with other neurons via electrical signals. The cumulative nature of this activity is what is defined as a brain wave. These brain waves have varying frequencies based on the state of the individual. Very little was known about the mysterious nature of brainwaves until the mid 1960s, which is when scientists began to develop and use digital electroencephalogy, a tool that helped researchers record and measure the rhythms of the brain. Gamma brain waves have a frequency anywhere from 25 Hz to 100 Hz, though 40 Hz is typical and of considerable importance in brainwave entrainment, as we'll get to later. Gamma are also the highest frequency waves with the smallest amplitude, and are associated with feelings of satisfaction as well as improved cognitive functioning- think memory retention, data processing and basic focus. Because gamma waves are so high frequency, the quick motion creates a sweep of the brain that helps link information and improve cognition. It is also said that those with high gamma brain wave activity have the highest IQ scores and are often high academic achievers, athletes and also talented musicians. Nobel prize winning scientist, Sir Francis Crick believes that the 40 Hz frequency may be the key to the act of cognition. Controlling cognition is a valuable practice that individuals can use to maintain emotional stability. Researchers conducted a study to monitor the role of gamma brainwaves in situations that evoked emotional response. They recorded an electroencephalogram (EEG) of 15 different subjects who then experienced a variety of emotions. They then categorized the types of waves they observed and related them to each subject’s ability to regulate both their attention and emotions. Researchers found that those whose brains emitted gamma waves early in the experiment were better at both handling their emotions and refocusing their minds. Other studies have shown that gamma brainwaves are also closely associated with data processing and attention, because gamma frequencies are linked to the sensory process. Many in the science community suggest that gamma activity also dictates a lot about memory- but primarily short and long term. Researchers in this experiment backed up the previously mentioned theory that asserted that attention activities (such as meditation) activated gamma brainwave activity in individuals, confirming meditation’s positive influence. Alzheimer’s Disease results after a protein (beta-amyloid) builds up like a plaque between neurons. These plaques are dangerous and can quickly advance the symptoms of the disease. Though it is not completely understood, gamma waves seem to be able to activate the immune system to attack plaques on its own. In one experiment on mice, researchers used exposure to LED lights (a form of brainwave entrainment) to facilitate gamma brain waves. They found that the amyloid plaque was reduced by nearly half, though the results were short lived – they were only present over a 24 hour period. In response, scientists increased the mice’s exposure to the LED lights over a week and noticed that both amyloid plaques and traces of the amyloid protein decreased drastically. They concluded that this prolonged use of BWE to stimulate gamma brainwaves could act as an effective treatment for Alzheimer’s. Even though the methods of stimulating gamma brainwaves to treat serious diseases like Alzheimer’s are still in the developing stages, scientists and researchers have proven that increasing gamma brainwaves helps individuals with their emotional states and their cognitive abilities. Meditation. Everybody’s doing it. A trend for some and a way of life for others, meditation can come in a variety of practices. 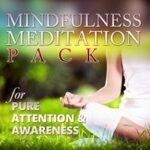 Considered ‘mental training’ by some, basic meditation is the process of quieting the mind in order to achieve deep relaxation, emotional release and higher consciousness. Physiologically, meditation has significant effects on the brain, namely in that it promotes ‘gamma-band oscillations’ as well as synchrony. In order to quantitatively evaluate the effects of meditation, a group of researchers at Princeton University conducted a study to measure the relationship between gamma brain waves and meditation. They measured the baseline EEG (electroencephalogram) in two different populations (long term meditators and non meditators) prior to a meditation session and uncovered some startling results. Those who meditated regularly had a greater and more frequent amount of gamma brainwaves, even in a resting, non-meditative state. These researchers concluded that the brain’s resting state can indeed be influenced by long-term meditation- a practice that can positively affect all aspects of an individual’s life. When individuals do not frequently produce gamma brainwaves, it leaves them susceptible to a host of symptoms. These include sleep deprivation and even insomnia, anxiety and panic attacks. More worryingly, the lack of gamma brainwaves can also make individuals susceptible to memory issues, cognitive degeneration and even diseases like Alzheimer’s. If you're looking to stimulate gamma activity you might consider turning to meditation, but it can be a challenge for new practitioners and take time to master. 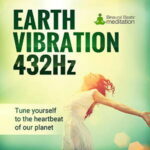 Therefore, facilitating this healing 40 Hz frequency in everyday life can be difficult. 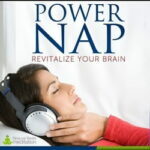 In which case you might like to brainwave entrainment in the form of binaural beats. Binaural beats are, as their name suggests, auditory rhythms that consist of two different tones of different frequencies that are played into a listener’s ear. The entrainment then happens inside the brain, and is caused by a natural physiological response. Upon hearing the two tones simultaneously, the brain interprets the tones sent to the left and right ears as one tone. The interpreted single tone is equal in measurement (Hertz) to the the difference between the source tones. For example, if a 210 Hz sound frequency is sent to the left ear, and a 220 Hz to the right ear, the brain will process and interpret the two sounds as one 10 Hz frequency. The brain then follows along (entrained) at the new frequency (10 Hz), producing brainwaves at the same rate of Hertz (Hz). The technical term for this process is ‘frequency following response'. Using binaural beats to naturally boost gamma brainwave production may improve long term memory and stimulate data processing functions in the brain; making BWE a potential future method of treating memory deterioration. In addition, 40 Hz waves evoke a therapeutic effect for the listener as connections between neurons are improved. While scientists still have a lot of work to do in terms of brainwave entrainment studies, they do acknowledge that a combination of beta and gamma waves increases both attention and even arithmetic skills in test individuals. These researchers conclude that BWE could (and should) be considered an appropriate form of therapy for those who suffer from emotional and cognitive issues. Therapy aside, its ability to strengthen memory and attention is a significant enough reason to gravitate toward it. Starting to worry about your memory short and long-term memory? You’re not alone. Issues with memory and mild cognitive problems start happening around age 30. Increasing the amount of gamma waves in the brain can help you to process information better, increase and sharpen focus, and aid and improve long and short term memory. In addition, increasing gamma brainwaves can also help you experience more peace of mind, better sleep, less anxiety, and a lower risk of depression. 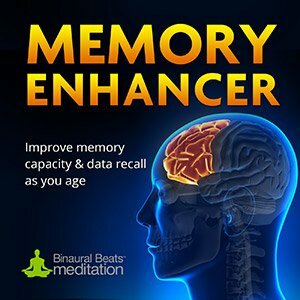 For those who are tired of feeling forgetful, and of struggling to retain information when working or studying, listening to gamma-wave-based music like our Memory Enhancer audio is a safe, holistic way to strengthen memory, cognition and overall emotional health.